Hedley is an unincorporated town 38 km east of Princeton. 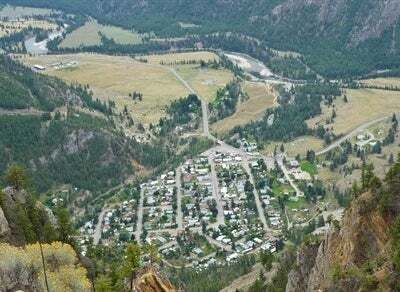 The town is located at the foot of Nickel Plate Mountain in the Similkameen. The town had a population of approximately 400 as of 2005. The Hedley Museum and the Mascot Mine Museum display artifacts and photographs from this era. 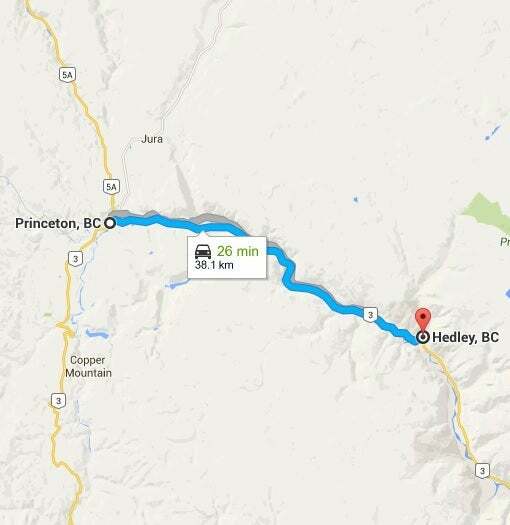 People have lived in the Similkameen Valley for 7000 years. First Nations people mined and traded ochre and chert. The townsite was built in the middle of Indian land. 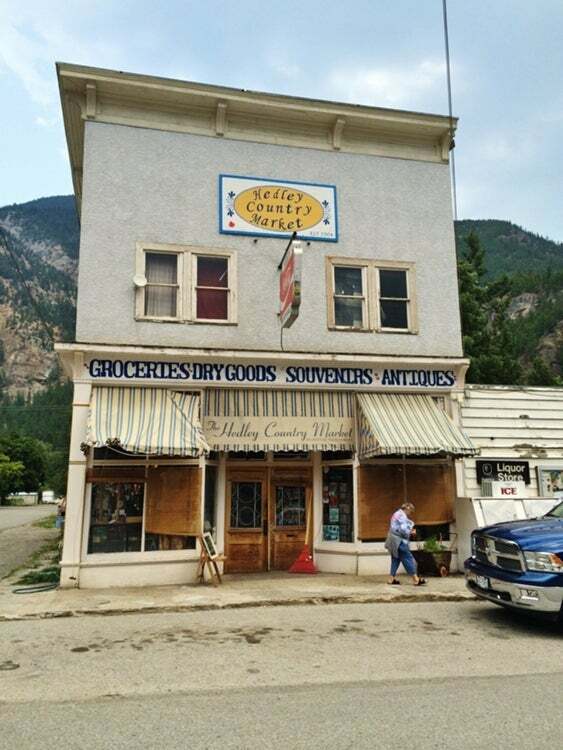 At its peak in the early 1900's, Hedley and the town on the mountain, had about 1000 residents, five hotels, and all the amenities needed in a frontier mining town. Over the years floods, rock falls and fires have consumed part of the town, but much remains to be explored. 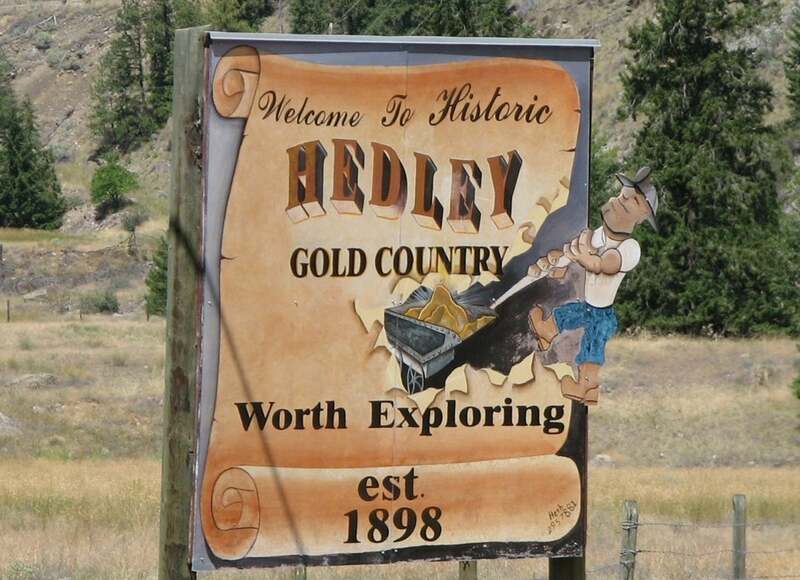 Approximately 77,760 kilograms / 86 tons of gold were produced from Hedley's mines between 1904 and 1996. Using the price of gold from January 2010 of $1090 USD per ounce, the present day value would be about $2,725,000,000. Gold was found on Nickel Plate mountain in 1898. The ore was rich but it had to be extracted from the host rock by crushing and chemical treatment. By 1903, men were digging the first of 120 kms of tunnels into the mountain and building a tramway and a 40 stamp mill. Men climbed the mountain each day to go to work until a second town for 200 people was built on the mountain top. Nickel Plate operated as an underground mine until 1955. The average price of gold over those years had been about $40 per ounce. Houses, rail tracks and the mill machinery were removed. The mine was reopened in 1986 and worked for ten years as an open pit mine. A rival mine with a dramatic history, dug into the mountainside high above the valley, driving 67 kms of tunnels between 1935 and 1949. 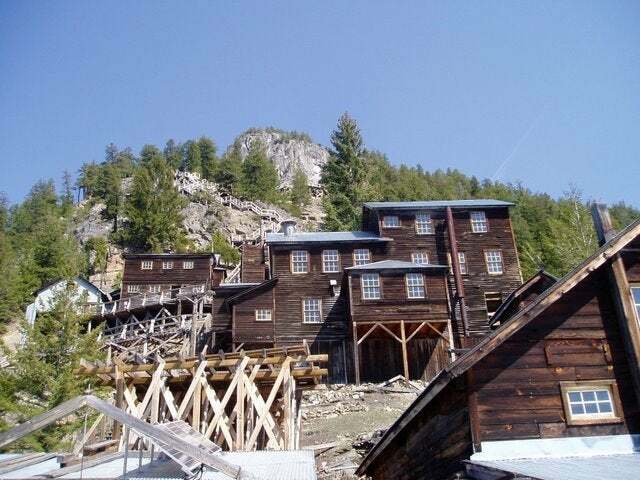 These mine buildings still cling to the cliff and have been repaired by the Upper Similkameen Indian Band so that visitors may safely explore them. You may also visit the Snaza'ist Interpretive Center. There you will be alble to learn about their native culture and history. The Centre interpreters will provide you with guided tours of the exhibits where you can learn about ancient aboriginal mining and trade. A true wilderness experience, Cathedral Park comprises an expanse of jagged mountain peaks, azure lakes and flower-dappled alpine meadows that is definitely for the adventurous. 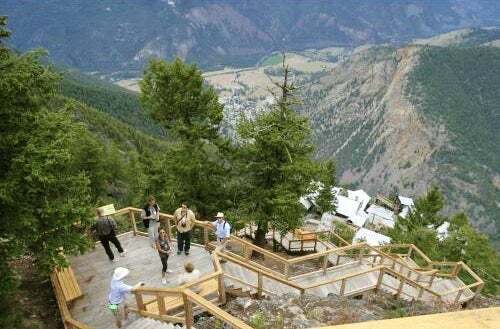 Located between the dense, wet forests of the Cascade Mountains and the desert-like Okanagan Valley, this mountainous park offers a rich variety of terrain, flora and fauna. Fascinating rock formations--including a jumble of columnar-jointed basalt forms and massive, wind-eroded quartz monzonite towers--make this an excellent spot for the experienced hiker. The lakes in the park look like turquoise jewels in a granite setting. Each of the close-knit group of lakes--Quiniscoe, Ladyslipper, Scout, Pyramid, Glacier, and Lake of the Woods--has a unique charm. Equally as beautiful are the tranquil Haystack Lakes, which are within a day’s hike of the main lake areas. Cathedral Park offers fishing, camping, wilderness camping, hiking and mountaineering. Size: 33,272 hectares for the Park and 353 hectares for the Protected Area. 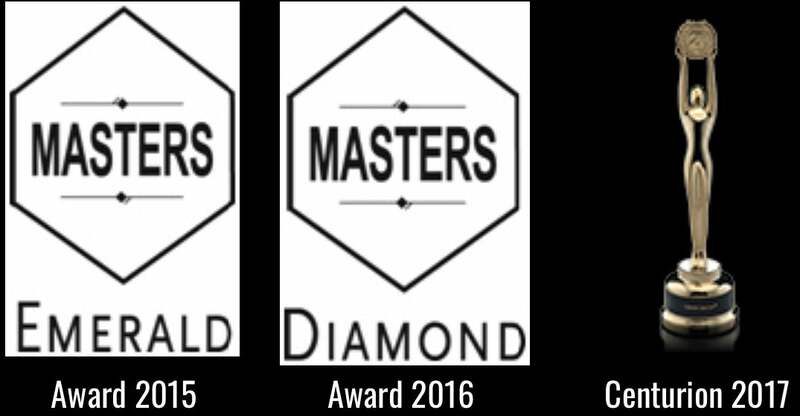 Facilities: 3 backcountry campgrounds at Quiniscoe Lake (30 sites), Lake of the Woods (28 sites) and Pyramid Lake (12 sites). 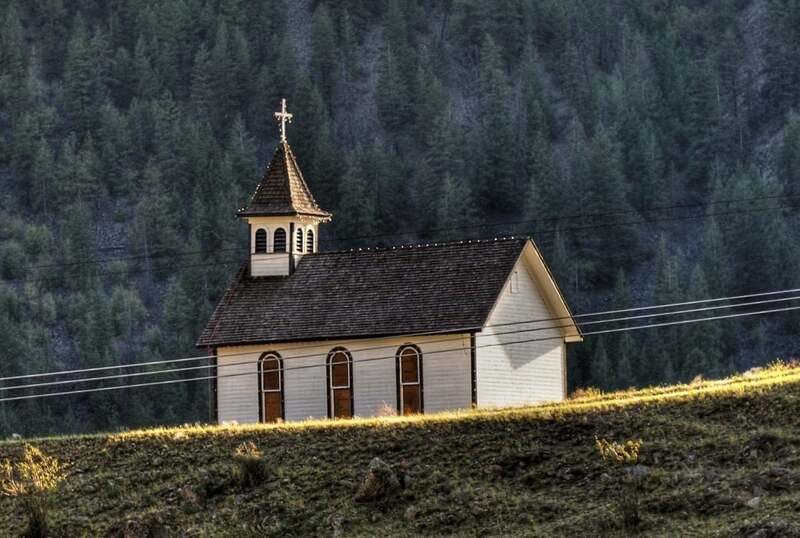 Location: 3 km west of Keremeos off Highway 3. Take Ashnola Road from the highway and cross a red covered bridge. 10 km later the pavement ends and the Ashnola Forest Service Road, which leads into the park, begins. This road extends 48 km upstream to the south end of the Ashnola Valley. Cathedral Park is a very popular hiking area, but the season can be very short due to the high elevation and potential for snow. The season is generally the end of June to early October. No vehicles are allowed into the core area on the private access road. Cathedral Lakes Lodge provides jeep transportation service (for a fee) from the base area, to the Lodge next to Quiniscoe Lake in the park's core area, 16 km away.